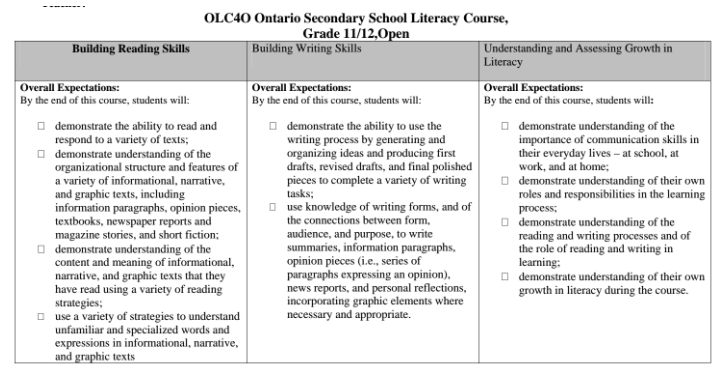 Course Description: This course is designed to help students acquire and demonstrate the cross-curricular literacy skills that are evaluated by the Ontario Secondary School Literacy Test (OSSLT). Students who complete the course successfully will meet the provincial literacy requirement for graduation. Students will complete a summative that includes content that has been worked on through the course, plus an oral metacognitive component.